Israel plans to build 3,000 housing units in the "E-1" area. Israel's plans to build 3,000 new settlement units in the occupied West Bank reflects America's "lack of reaction" to unilateral moves, the PLO's envoy in Washington said Friday. Ambassador Maen Areikat was responding to the announcement by Israeli government officials of plans to build 3,000 settlement units in the so-called E-1 area of the occupied West Bank, a day after Palestine was admitted to the UN in a vote opposed by the US and Israel. The announcement “represents a challenge for those who are attacking Palestine’s recent effort at the United Nations,” Areikat said in a statement. “It is exactly the lack of reaction on behalf of the US, and others in the international community, to continued Israel violations of previous agreements that pushed us to seek intervention at the UN. In Washington, the White House said the new Israeli settlement expansion plan was "counterproductive" and could make it harder to bring Israel and the Palestinians back to the negotiating table. "We believe these actions are counterproductive and make it arder resume direct negotiations or achieve of a two state solution," Vietor said. "Direct negotiations remain our goal and we encourage all parties to take steps to make that easier to achieve." Earlier an Israeli official announced plans to build thousands of new homes for its settlers in the occupied West Bank and East Jerusalem, defying a UN vote that implicitly recognized Palestinian statehood there. The official, speaking on condition of anonymity, said Prime Minister Benjamin Netanyahu's conservative government had authorized the construction of 3,000 housing units. The White House said Friday a new Israeli settlement expansion plan was "counterproductive" and could make it harder to bring Israel and the Palestinians back to the negotiating table. Israel plans to build thousands of new homes for its settlers in the occupied West Bank and East Jerusalem, an Israeli official said earlier, defying a UN vote that implicitly recognized Palestinian statehood there. Hamas Movement has warned the Israeli authorities of their attempt to build the "Jewel of Israel" synagogue on the ruins of a Muslims' prayer room in the center of the Old City of occupied Jerusalem. Hamas considered such step "a flagrant violation of the International norms and conventions, and a dangerous scheme that aims to encircle Al Aqsa Mosque, to obliterate the Islamic and Christian landmarks and to change the architectural form of the occupied city of Jerusalem." The movement asserted in a statement that the occupation attempts to obliterate the Islamic landmarks in Jerusalem and to Judaize the city will not succeed in changing the historical facts, emphasizing that "it is high time to put an end to the occupation violations." It has also strongly condemned the silence, the international complicity and the policy of double standards in dealing with the violations and crimes of Israel against the Palestinian people, their land and holy places. The Hamas movement called on the Palestinian people and its forces "to address these plans and crimes". It also appealed to the Organization of the Islamic Cooperation and the Arab League to "shoulder their responsibilities in protecting Jerusalem and Al-Aqsa from the constant danger of Judaization" facing it. The Aqsa foundation for endowment and heritage said the Israeli occupation authority (IOA) intends to build soon a huge synagogue called the Jewel of Israel in the heart of the old city of occupied Jerusalem. 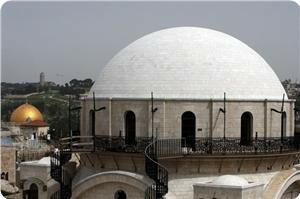 In a press release on Thursday, the foundation said the IOA would build this synagogue about 200 meters away from the western side of the Aqsa Mosque at the pretext of renovating an ancient synagogue. 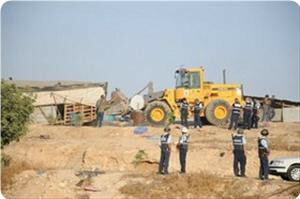 Israeli occupation authorities (IOA) started expanding a settlement to the south of Bethlehem in the West Bank at the expense of Palestinian lands and closed a road in the same area. The coalition of "Guided by Jerusalem" said the Israeli occupation authority (IOA) decided to initiate the building of a Jewish tourist site adjacent to the southern wall of the Aqsa Mosque (Al-Maghariba neighborhood) on 22 dunums of land. A report issued by Hamas' Media Office said that Israeli occupation is moving at an accelerated pace to legalize most of the outposts built on occupied West Bank lands and to encourage Jews to settle there. It described the Israeli occupation authorities’ (IOA) measures as a flagrant violation of international humanitarian law and The Hague Regulations. 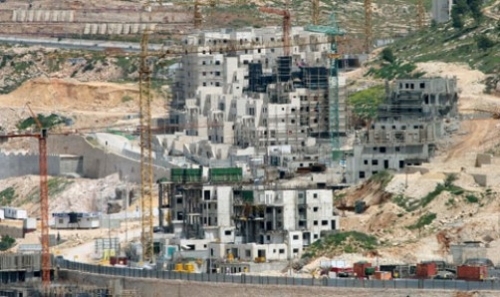 The report indicated that the IOA settlement activity in the occupied West Bank and Jerusalem in 2012 reached its highest level compared to the last ten years, as the number of settlement units which have been approved to be built since the beginning of the current year is over 2380 units. Hamas also pointed out that, according to Palestinian statistical data, the number of settlements in the West Bank was 144 settlements by the end of 2011, while the number of settlers exceeded 536000. In contrast at least 130000 Jerusalemite citizens do not have houses, as the IOA imposes restrictions on giving them permits for the construction of houses. The report, which monitors settlement projects and settlers' attacks during the period from October 16 to November 15 - 2012, revealed that "the IOA seeks to destroy the Islamic historical monuments in Wad Street to the east of occupied Jerusalem." It said that the IOA aims to change the interfaces of houses and shops along the street linking the Damascus Gate and the gates of Al-Aqsa mosque from the western side, and down to the area of al-Buraq, under the pretext of repairs and maintenance of the street. The report also dealt with settlers' attacks against Palestinian citizens in the West Bank and Jerusalem, such as attacks on agricultural crops, uprooting and stealing of olive trees, burning vehicles, physical attacks against civilians and writing racist slogans on walls. 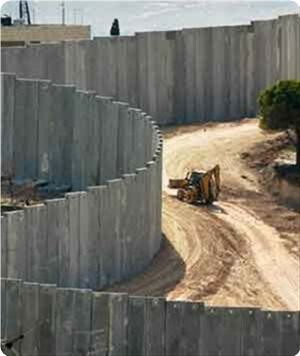 The Israeli occupation authorities started building a new section of the separation wall around the Shufat refugee camp to the north of occupied Jerusalem. Israeli daily, Haaretz, reported that Israeli Defense Minister, Ehud Barak, approved last September a plan to construct additional 538 units in the Itamar illegal Israeli settlement, near the northern West Bank city of Nablus. The new plan is meant at doubling the size of the settlement. Haaretz said that it obtained a document revealing that Barak approved the plan despite the fact that the Israeli Planning and Construction Committee has not approved it yet, the Radio Bethlehem 2000 reported. According to Haaretz, a meeting was held on September 24, 2012, at the office of Barak to discuss the new plan to expand the settlement. Barak “legalized” 138 illegal units built by the settlers without Israeli construction permits, and decided to build additional 538 units. The only condition he set forth was that the settlers need to obtain construction permits from the Israeli Defense Ministry before they start the constructions. It is worth mentioning that the Israeli Planning and Construction Committee will be discussing the new plan this week; the plan does not include illegal outposts that were built by the settlers on Palestinian lands near the settlement. In 2011 Palestinian teenager from Awarta nearby village allegedly murdered a settler family in their home in Itamar settlement. 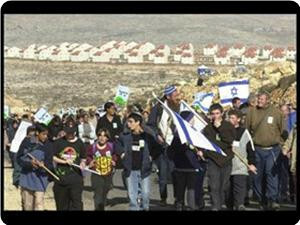 Since then, the settlers have tried to convince the Israeli government to expand their settlement. The stabbing attack victims were a father, mother, and their 3 children, including a baby. Following the stabbing, the army detained and interrogated hundreds of residents, including more than a 100 women, especially from the eastern area of the village. The Palestinian teenager was convicted by an Israeli court of killing the settler family, and was sentenced to five life terms. Amjad Awad, a 19-year old student, allegedly confessed to the murders after he was swept up in raids of his village, Awarta, following the attack. Awad stated he was subjected to ‘harsh interrogation’ tactics and torture for several days. His cousin, Hakim Awad, was sentenced in September to five life terms plus five years for participating in the deadly attack. Awarta Village Council Head, Qais Awwad, stated that he believes that the two teenagers may not be the real doers, hinting that they may have confessed under severe torture. 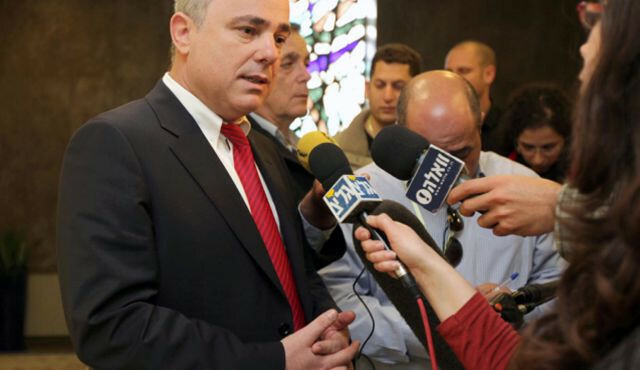 Move was done quietly so that 'elements in Israel and abroad' would not attempt to prevent it, Finance Minister Yuval Steinitz tells radio interviewer. Benjamin Netanyahu's government has quietly doubled the portion of Israel's national budget allocated to Jewish settlements in the West Bank settlements, Finance Minister Yuval Steinitz said in an interview on Monday. "During the current government's term, we doubled the budgets [allocated] to Judea and Samaria. We did it with a low profile, in agreement with the mayors," Steinitz told Galei Yisrael, a regional radio station based in the West Bank. The government carried out the moves quietly, so that "elements in Israel and abroad" would not attempt to stymie them, he added. Steinitz, who on Monday afternoon received an award from the settlement movement honoring him for his contributions, related to interviewer Kaveh Shafran how he had helped the settlements. Steinitz also discussed the recent wave of rocket attacks from the Gaza Strip, saying that the cross-border escalation was part of a comprehensive Palestinian move against Israel. “Strategically, what’s happening is that we’re under a double Palestinian offensive. A terror offensive from Gaza, and from Ramallah a diplomatic offensive by Abu Mazen, which is also strategic, to approach the UN." 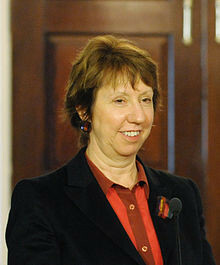 European Union High Representative for Foreign Affairs and Security Policy, Catherine Ashton, stated that the new Israeli decision to announce bids for new constructions meant at expanding two Israeli settlements in occupied Jerusalem, is regrettable and leads to further complicates the situation. Ashton was referring to a new Israeli decision to announce bids for the construction of an additional 1250 units in the two settlements. The EU official further stated that peace talks are the best way to end the Palestinian-Israeli conflict, and that these talks should lead to a solution based on Israeli withdrawal to the 1967 border. She added that unilateral actions by any party should not determine the outcome of the peace process, and said that the expansion of settlements just complicates all international diplomatic efforts that are meant at resuming the Palestinian-Israeli peace talks. Ashton reiterated the fact that Israel’s in the occupied territories are illegitimate under international law, in addition to the fact that Israel’s settlement activities are nullifying the two-state solution. The official also said that the European Union repeatedly urged Israel to halt all of its settlement activities in the West Bank, including in occupied East Jerusalem, in compliance with the Road Map peace plan. 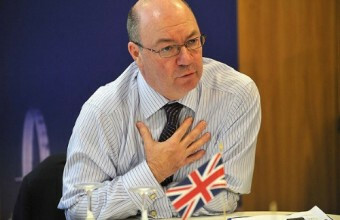 FCO said in a press release that Foreign Office Minister for the Middle East and North Africa, Alistair Burt, condemned the publication of tenders for 1213 settlement units in East Jerusalem and 72 in Ariel. He said, "I condemn yesterday's provocative decision to advance settlement construction in East Jerusalem and the West Bank through the publication of tenders for 1285 settlement housing units. The UK has been consistently clear that Israeli settlements are illegal under international law and by altering the situation on the ground are making the two-state solution, with Jerusalem as a shared capital, increasingly hard to realise. It is deeply disappointing that the Government of Israel continues to ignore the appeals of the UK and other friends of Israel." It's worth mentioning that on 6th November, the Israeli Ministry of Housing published tenders for the construction of 1213 settlement housing units in East Jerusalem, 607 in Pisgat Ze'ev and 606 in Ramot. 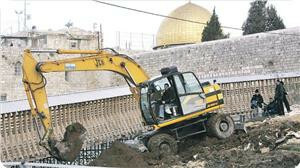 In addition, 72 units were also put to tender in the settlement of Ariel, located in the northern central West Bank. Both of the East Jerusalem sites where the new units are to be built are beyond the footprint of existing construction in Ramot and Pisgat Ze'ev. 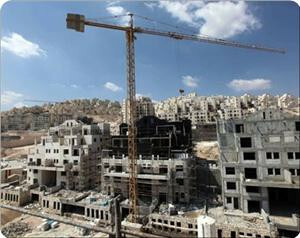 According to Terrestrial Jerusalem, tenders have now been issued for the construction of 2200 new settler units in East Jerusalem in 2012, more than twice the number of tenders issued in the previous three years put together. Specialist in settlement affairs Ahmed Sablaban said that the current year has seen a rise in Israel's settlement activities in the occupied Palestinian territories, especially in Jerusalem. In a press release, Sablaban explained that compared to the past 10 years, the settlement expansion reached a higher level. 2,380 housing units have been approved or initiated to expand settlements since start of this year, he added. He also said that the Israeli ministry of housing, in a recent settlement plan, invited bidders to build 1, 213 units in east Jerusalem as part of the project to expand Pisgat Ze'ev and Ramot settlements. The specialist noted that one of the main reasons behind this new expansion plan was the near completion of building a road connecting Pisgat Ze'ev and a group of settlement outposts north of the West Bank with Begin street west of Jerusalem. 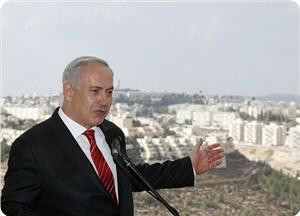 The Israeli occupation government has announced new plans to press ahead with the expansion of three Israeli settlements in Jerusalem and the occupied West Bank. The Israeli Ministry of Construction and Housing published, on Monday evening, notices inviting bids from contractors to build more than one thousand and two hundred new housing units on plots in settlements of "Ramot" and "Pisgat Ze'ev", which are established on Palestinian villages' territories, north of Jerusalem. The Israeli NGO Peace Now said on Tuesday that an additional tender for the construction of 72 new units in the West Bank settlement of Ariel, established on lands belonging to the city of Nablus, was reissued on Monday after a previous notice failed to attract winning bidders. The group condemned the new settlement expansion project and said in a statement: "This is the true answer of Netanyahu to Abbas. Chairman Abbas declared again his strong commitment to the two-state solution, and Netanyahu replied with thousands of new units in settlements". 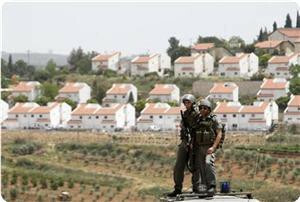 Around 500,000 settlers live in the occupied West Bank and East Jerusalem. Israeli occupation forces (IOF) started paving land in preparation for the construction of a new settlement outpost in Majnona area to the south of al-Khalil. 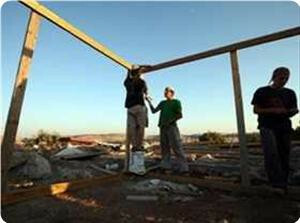 Israeli Occupation Authorities (IOA) started turning the military outpost built on the land of al-Khader village south of Bethlehem to a settlement, through replacing mobile homes "caravans" to fixed buildings constructed of concrete. 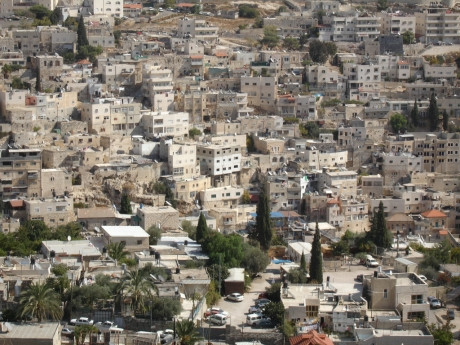 Israel's land administration and its ministry of construction and housing started to market vast tracts of Palestinian lands in east Jerusalem for the construction of more than 5,000 housing units, the Hebrew newspaper Kol Ha'ir reported on Friday. 2,000 of these units will be in areas where there is growing demand for land, the newspaper added. It said the lands are offered for sale at low prices in order to encourage investors and reduce the prices of houses. For his part, specialist in settlement affairs and head of the Arab studies society's map unit Khalil Tufkaji said in a press release on Saturday that the Israeli municipal council in Jerusalem declared its intention to build a waste dump and a garbage processing plant on Palestinian lands annexed from the villages of Anata, Issawiya, and Shuafat in Wadi Raj'ayat area. 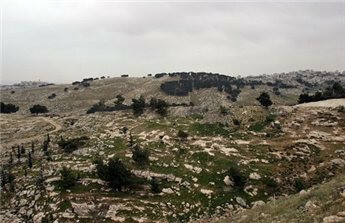 Tufkaji added that these annexed lands of northeast of Jerusalem was separated from the villages of Anata and Shuafat with the segregation wall. He also affirmed that the Israeli municipal council and the military authority in Jerusalem plan to exploit the Palestinian lands located between the headquarters of the border guards and the police which extend from Al-Issawiya district in the east to the military checkpoint at the entrance of Shuafat refugee camp in order to link a number of settlements. He explained that the municipal and military authorities want to link the French Hill settlement with the settlements of Rakhos Shuafat and Ma'aleh Adumim in order to form a settlement bloc closing the eastern entrance of Jerusalem with a wall extending to the west of Jerusalem.